Fall is such a beautiful time of year. The colors are changing and so many delicious treats are ripe and ready for the picking. 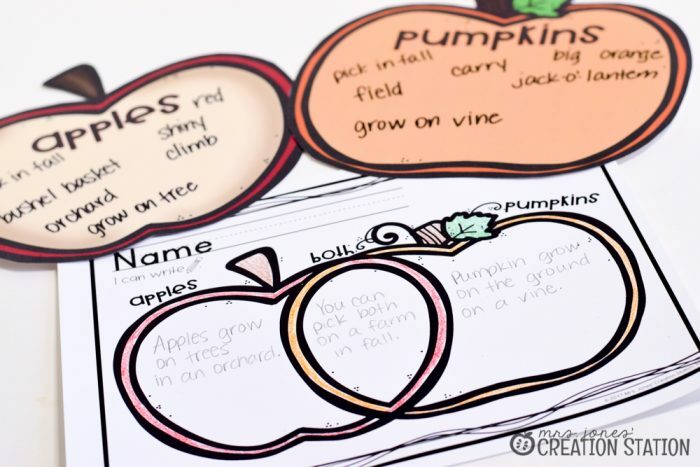 Whether you go to an apple orchard or pumpkin patch this fall your learners are bound to enjoy some learning activities about these fall treats. 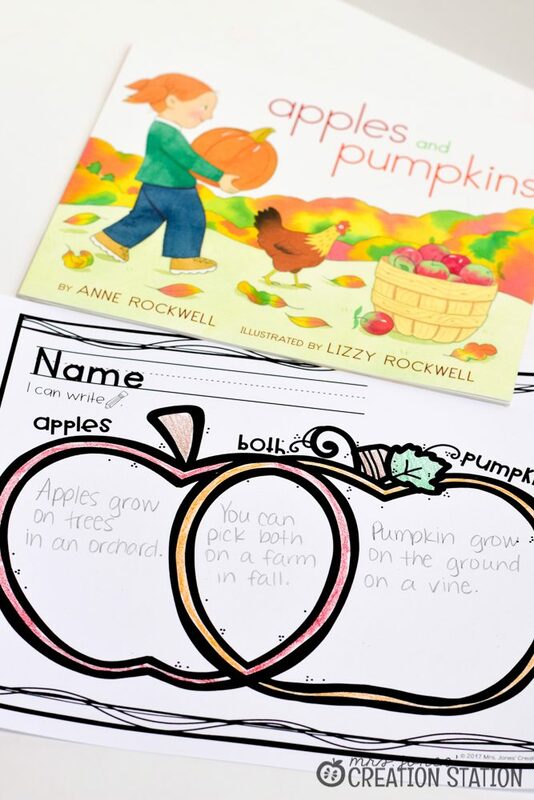 Get them engaged with a reading activity to explore apples and pumpkins together. 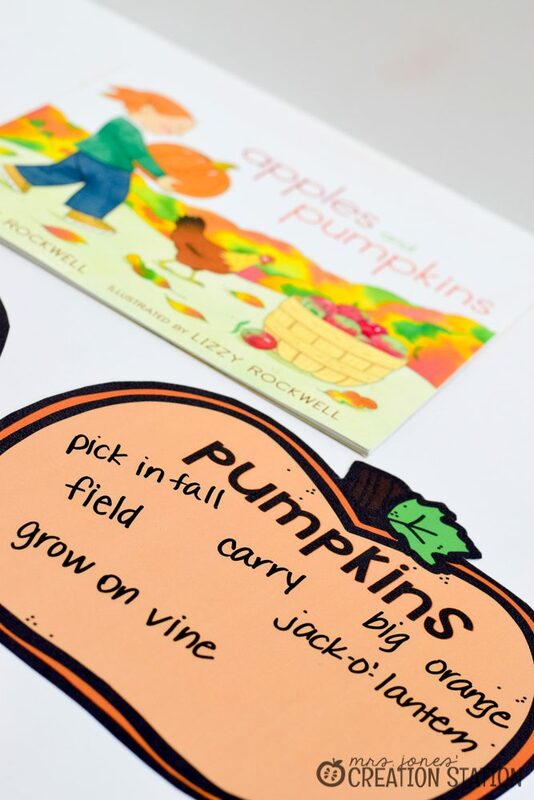 If you don’t have Anne Rockwell’s book Apples and Pumpkins in your early childhood classroom you should grab it now. It is the perfect text to bring some text to world connections for your little ones. Even if they only see these fruits at the grocery store this text helps them to see where they come from. 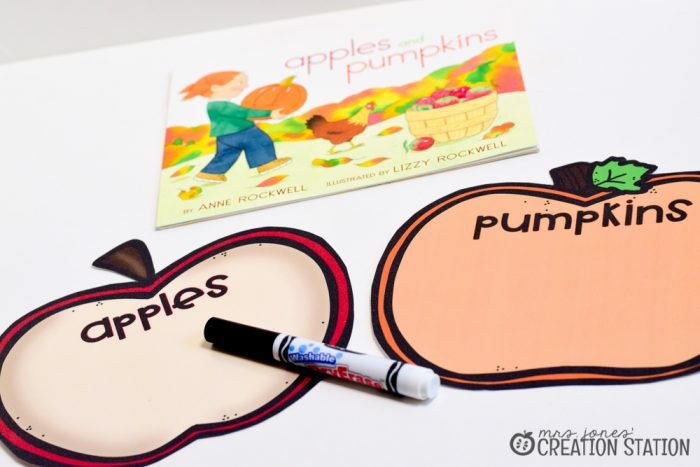 After reading the book together revisit the text to complete the apple and pumpkin charts. Simply write down what you learn directly from the text. Going back to the text is a great comprehension strategy to model in whole group instruction. This allows you to show how a purpose in reading can change how we see a book. After rereading the text have learners share information they know from their own background knowledge. This allows learners to see the importance of their own experiences when joined with those of the author. After the mini-lesson have learners complete the Venn diagram in a group or independently. 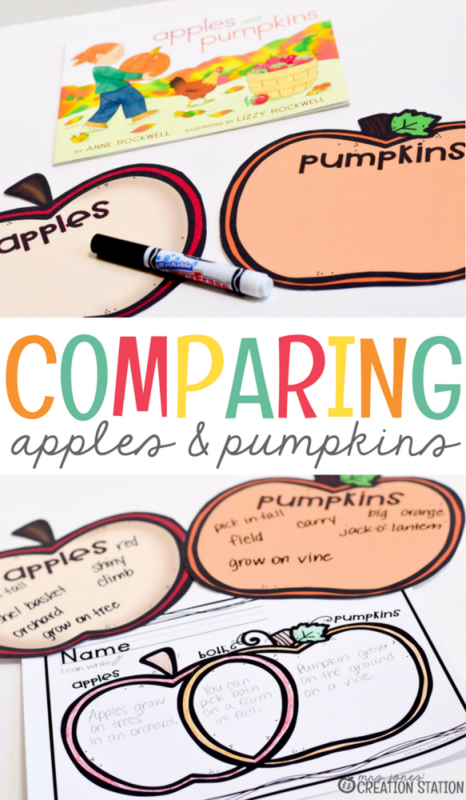 This is a great way to see if your learners understand the text and comparison mini-lesson. You can grab this resource by clicking on the download image at the bottom of this post. 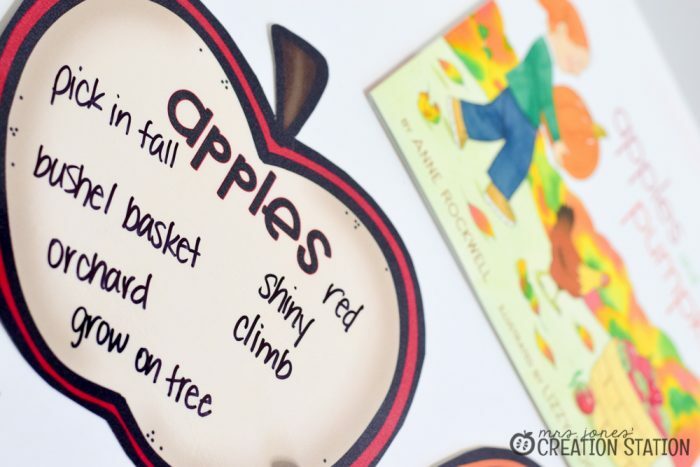 Have learners write multiples similarities and differences between apples and pumpkins or one sentence for each category. I prefer to have learners write one sentence for each to determine if the understand the concept, as well as, practicing writing sentences correctly. Two assessments in one printables…why yes thank you! I hope that you enjoy using these resources with your little learners and creating engaging read aloud activities to explore the amazing books and knowledge your learners already have.